Catriona Tudor Erler is a freelance garden writer, photographer, and speaker. 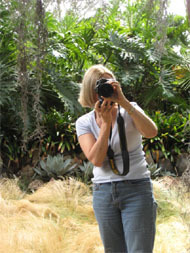 She has written nine garden books (see below), many of which feature her own photography. 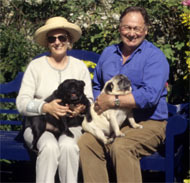 In addition to books, Ms. Erler has written for magazines such as Architecture Digest, Southern Accents, The English Garden, and Garden Design, and her articles have appeared in newspapers throughout the country, including the New York Times, Christian Science Monitor, Denver Post, and San Jose Mercury News. She currently writes a bimonthly column for the Smith Mountain Laker magazine. Erler also works with several British publishers editing British-written garden books so the information is accurate for growing conditions in North America and the language is comfortable for American readers. In one case she completely rewrote a book on lawns, keeping to the layout of the original, British book, but changing the text to be appropriate for American gardeners. Her extensive photographic files include pictures of many outstanding gardens in the United States and England, as well as excellent plant portraits. They have been published in books, magazines, and newspapers in both the United States and Great Britain. Recent books that feature Erler’s photographs include: Scotts’ Lawns and Scotts’ Lawnscaping, Sunset’s Complete Masonry, Ortho’s Creating Water Gardens, Complete Guide to Trees & Shrubs, Creating Japanese Gardens, Creating Natural Landscapes, Bonsai, and HGTV’s Landscape Makeovers and Flower Gardening. Ms. Erler is a popular garden lecturer. She has spoken on gardening to many groups and clubs throughout the United States and in England, and has been a guest expert on television and radio shows related to gardening. Highlights of her speaking engagements include featured speaker at the Annual Dinner for the Birmingham (Alabama) Botanic Garden; guest lecturer at the Lewis Ginter Botanic Garden in Richmond, Virginia; speaker at a fundraising event to raise money for the Museum of Garden History in England; guest expert on frugal gardening on PBS television program “Right on the Money,” and on CNN to talk about landscaping swimming pools; and the featured speaker for a special program sponsored by The Hospitality Information Service in Washington, D.C. which included several ambassador’s wives in the audience.